In “Diary of a Left-Handed Birdwatcher,” author Leonard Nathan recounts his frustrating quest to see a snow bunting. It’s a neat little book that I relate to closely because his “nemesis bird” is also one of mine. A nemesis bird is a species that, against all odds, continues to elude you. These are birds that other people see but you don’t, mainly due to bad luck or timing. On a bitter cold day last January I went looking for two species that somehow had never landed on my life list—snow bunting and Lapland longspur. In the days preceding my search I’d seen online reports of these birds in the farmlands of northwest Kane County. Directions to the best spots were very specific, so my confidence level was reasonably high when I gassed up and headed west. This would be a day of “car birding”—not my favorite kind, but necessary. There was a lot of ground to cover, plus staying behind the wheel can be the best way to observe roadside birds in open country. The car acts as a moving blind, allowing a closer approach. A clean windshield is essential. Well west of Geneva I began to see flocks of horned larks. They were foraging on the snow-free road shoulders and some strolled out on the road itself. At times I was close enough to see the little feather tufts or “horns” that give this bird its name. The larks were an encouraging sign because buntings and longspurs often associate with them. With patience, and by scanning enough flocks of roadside birds, I would find my quarry. Turns out I was half right. A few hours into my rural odyssey, near the town of Hampshire, I enjoyed good views of several Lapland longspurs. The birds were more skittish than the larks but I still managed to creep within 15 or 20 yards for a good look. I never did find a snow bunting, so that’s one nemesis I still need to resolve. Maybe this month I’ll take another run at it. But my disappointment on that score was easily offset by the Lapland longspurs, a true winter specialty that was well worth the effort (and 97 round-trip miles). It’s getting harder for me to see a “life bird” in this region, so whenever I do it’s a very good day. If you try car birding yourself this winter, please be safe. Country roads usually have narrow shoulders. Pull over as far as you can, use your hazard lights and be alert for other cars. Safety is another reason why it’s best to keep inside your vehicle. Patience will come in handy, too. Birds along the road naturally flush every time a car goes by. Some birders throw some seed down to keep them coming back to the same spot. In any case, be prepared to do some waiting and lots of creeping along at less than 5 mph. Hey, at least you’ll be warm! 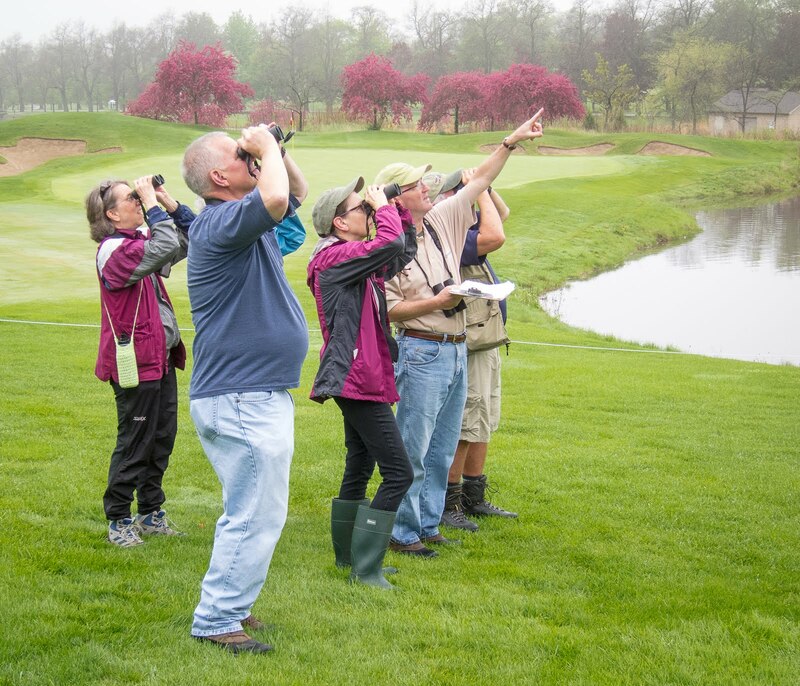 Jeff Reiter is a Glen Ellyn, Ill., resident who enjoys birding at home and in the field. You can reach him at jreiter@wordsonbirds.com.